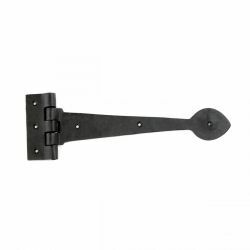 This beautifully-textured, Wrought Iron Flush Mount Door Strap Hinge with a spade design is handcrafted of quality materials and it will add an authentic period-style feel to your home's decor. 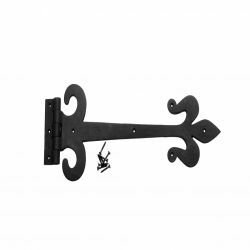 Fabricated of a very durable, attractive, and strong material...a wrought iron hinge will add some Colonial and Country detail to your old or new doors, or gates. 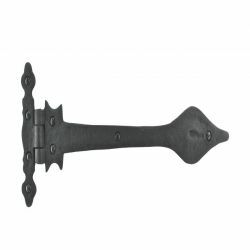 You can use this antique-style wrought iron hinge for a rustic look, and unlike a pintle hinge, a strap hinge always stays connected to the hinge. 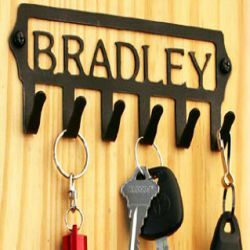 We add a black protective coating that will protect your hinge against time and the elements. 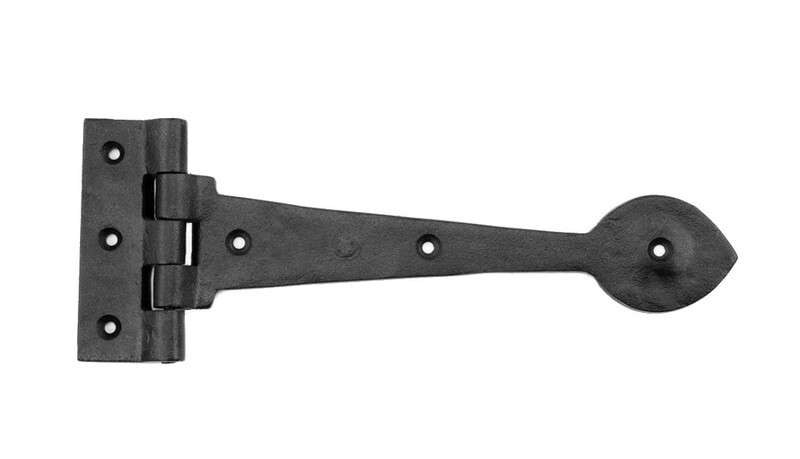 Overall this wrought iron strap hinge measured together with the barrel, is 10 inches in Width. 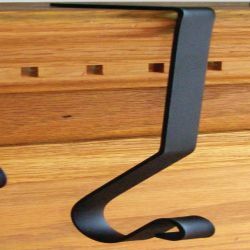 The overall height is 3-7/8 inches (which is measured at the barrel), and overall the thickness is 3/16 inch. 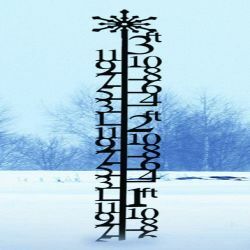 (See our 'Measurement Table' below for a list of all dimensions). This Spade Strap Hinge is sold individually, and comes complete with all mounting hardware.